Do you love free stuff and want a place where you can lose yourself for a few hours? Or do you want to learn about some of the newest family friendly ideas and services? You should definitely check out the Mom EXPO & Ultimate Play Date! For the past few years, I have been attending the most amazing event for moms, the Mom EXPO & Ultimate Play Date - The Woodlands. It is held in early February (6th and 7th this year) at Legends Sports Complex, 602 Pruitt Rd., The Woodlands, TX 77380. This two day event is only $5 per person over 12 with kids FREE. 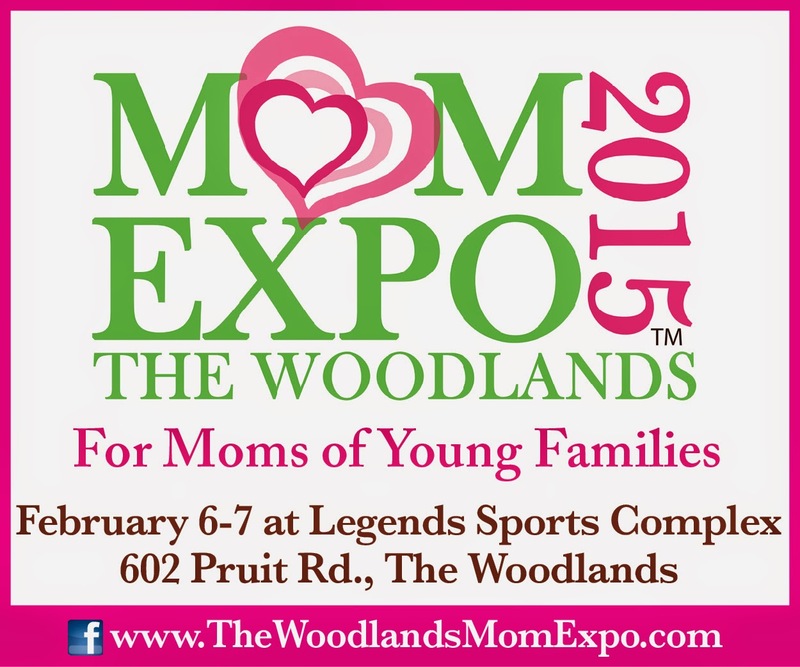 It features exhibitors, samples, demonstrations, entertainment, play zones, craft stations and more geared towards moms. Early Birds - Baby boot camp fitness class by Baby Boot Camp starts on-site at 9 am both Friday and Saturday. Attendees get free entry to the EXPO! Box Tops for Education School Challenge - Register your school for the challenge and bring in your Box Tops to the EXPO. Selected Schools will be awarded money for their schools! Go Green Showcase - Experience Eco Friendly & Organic Living products, then vote on your favorites. There will be a giveaway to win Mom EXPO's "Best In Green. The Work-At-Home Mom Forum - Hear panel discussions, mentors, and home based business strategies to help get inspired and motivated. Scheduled for Friday at 1:30p.m. Education Station - Expert partners will have academic projects and exercises for kids. Homeschool families get a special invitation for field trip projects from 11-2 on Friday and will receive a Field Trip Certificate. Diaper Derby - Crawlers 12 months and under race to the finish! As if you needed any more convincing to attend, there are goodie bags for attendees! They are filled with all sorts of surprises you don't want to miss out on! Plus, I will be in attendance and participating in the Blogger Bonanza on Saturday. Tickets are available at the door.